I LOVE this challenge. This week the entrants have to complete a crafty project using an item they purchased from a thrift store. The big drawback of being a crafty maiden is the fact that crafting is so darn expensive. 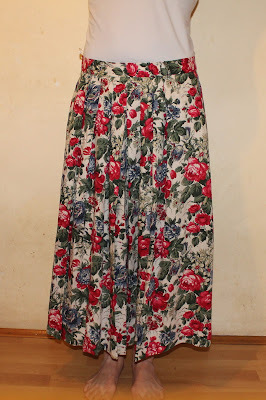 When you look for inspiration and ideas from thrift stores you can really cut down on expenses and find give a new life to something that was destine for the trash. You are saving the world by crafting! I'm so thrilled to be continuing this challenging yet fulfilling contest! Honestly I hadn't been to many thrift stores before this challenge and after finding out about 99cent Mondays at a certain thrift store, I'm HOOKED! Now every time I go I find soooo(too) many items I want to makeover. Hence my layer upon layer picture because I kept changing my mind what pieces I was going to use! I ended up using 2 jumpers I found and turned 1 into a vest (with only a hem job!) 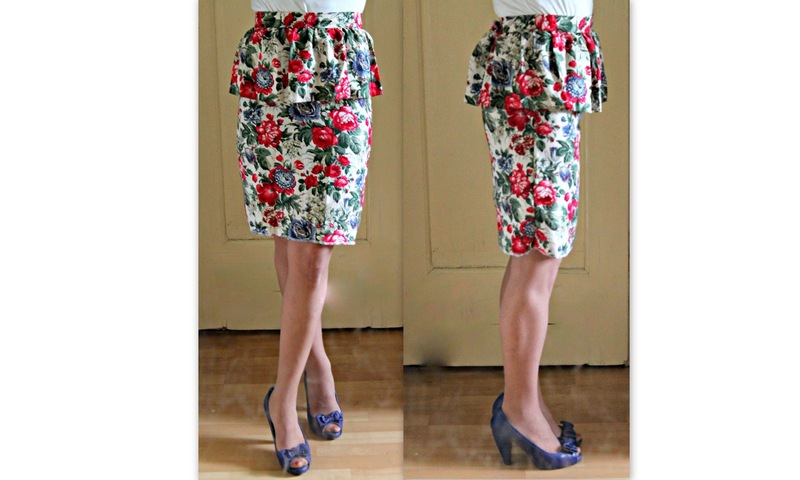 and the other into a trendy wrap skirt, complete with back pockets taken from the original lower pockets. 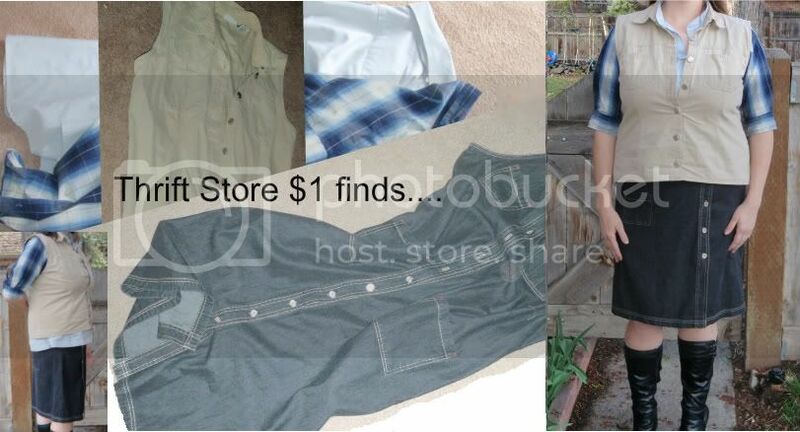 The Challenge: Spend $5 in a second hand shop and make an outfit. What fun! I love any challenge that involves sending me into one of my favorite places to be! First, I made a pair of elastic waisted pants from the big shirt. Then I cut the placket off the big shirt and sewed it onto the little shirt for a fun contrast, I also used the sleeves from the big shirt to lengthen the sleeves of the smaller tee, making these great as Winter pajamas. Photo shoots are so hard with 2 year olds! He had to be bribed with a pear. You can imagine how messy the shirt got, haha, oh well! There are no large thrift stores here in Croatia. I live in a capital and we have a few second hand shops, but nothing large like in USA or Australia. And the prices are definitely not the same.. Still, I felt very lucky when I found this skirt in a second hand shop near my home! The minute I saw it I know what I´m going to do with it! You see, just a week ago I saw a b.e.a.u.t.f.u.l.﻿ skirt in Zara (it´s definitely my favorite shop, I love to wander through it looking for some sewing inspiration). 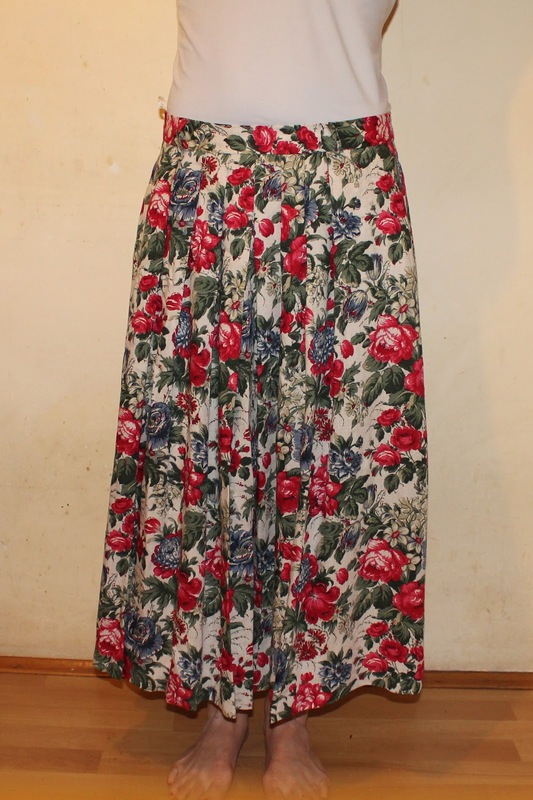 I love it so much I almost bought it, but the seamstress in me immadiately saw an easy way to make the same one from and old skirt.